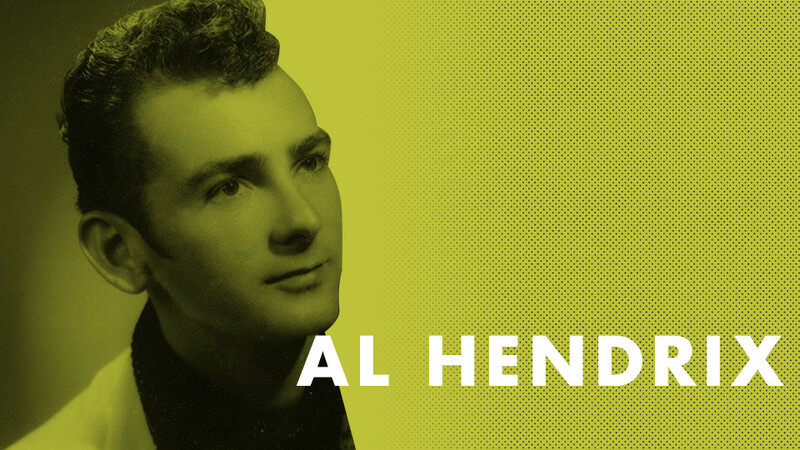 Hank Williams provided the initial musical inspiration for Al Hendrix, but after a stint in the Army the Miami native switched his allegiance to Elvis and rockabilly. Hendrix spent much of his youth in California and Texas before settling in Bakersfield. He did some playing with Buck Owens and waxed his 1957 debut single, "Rhonda Lee," with Joe "Jolly Jody" Keplinger and his Go Daddies for the Tally label (ABC-Paramount eventually picked it up nationally). Al encored in 1960 with "Young And Wild" for the Lagree logo, and his "Monkey Bite" hit the streets in '62 on Pike Records (both 45s were laid down at fabled Gold Star Studios in Hollywood). Recent years have found Hendrix rocking as determinedly as ever.